An update: All sorts of things! My blog posts have been full to bursting with the Sewing Bee, various interviews, tutorials and new patterns and I haven't had chance to have a good catch up on news over the last few weeks. So today's post is an update - a bit of 'this and that', if you will. Spinning Show & Tell will resume next week and I have some great spinners lined up. 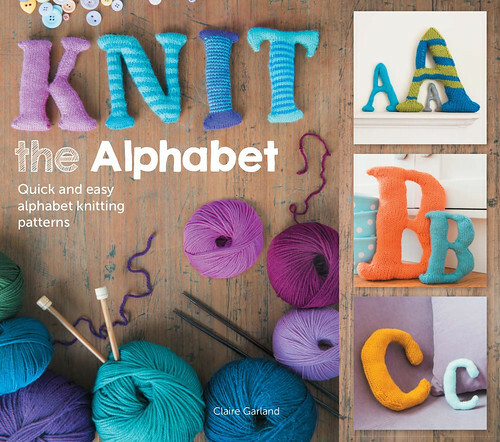 Firstly a big congratulations to the winner of the Knit the Alphabet giveaway. The winner, Rachel (aka Petersson), was randomly selected and has been notified via Ravelry so her copy of Claire's lovely book will soon be sent out by the publisher. Rachel says she'd like to make cushions for her classroom and I bet they'll look great - perhaps she'll send us a picture? I've started making some letters myself and really enjoying it. I originally had plans to use oddments of yarn but then started knitting with Rowan Handknit cotton and it's so nice I don't want to use anything else! I also wanted to tell you about a few events coming up. 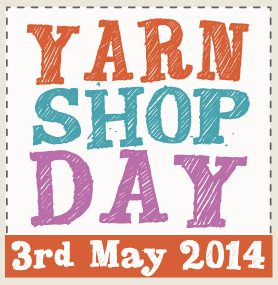 Firstly Let's Knit and Let's Get Crafting Magazines have launched a Love Your Yarn Shop campaign and on Saturday 3rd May there will be a nationwide Yarn Shop Day with events taking place around the country. The event is being supported by many well-know designers including Erika Knight, Louisa Harding, Sarah Hatton, Lauren O'Farrell, Jenny Watson and more as well as big-brands within the industry. If you're lucky enough to have a LYS, then I'd certainly recommend checking out any events which are taking place in your vicinity. You can find lots more information here. In July we have Unwind Brighton - a brand new event taking place so close to home it would be rude if I didn't go! This is looking like a seriously awesome weekend including a fantastic range of classes and talks from top names (seriously, take a look!) as well as a lot of great sellers in the Marketplace. I'm sure this is going to be a pretty cool place to hang out and knit even if you don't have lots of cash to spend - that's my plan anyway! Perhaps I'll see you there? With all the interviews, giveaways and new tutorials happening over the last few weeks, I haven't had opportunity to mention that I was awarded Blogger of the Month by Black Sheep Wools a few weeks ago. You can find my interview with the BSW Blog here. 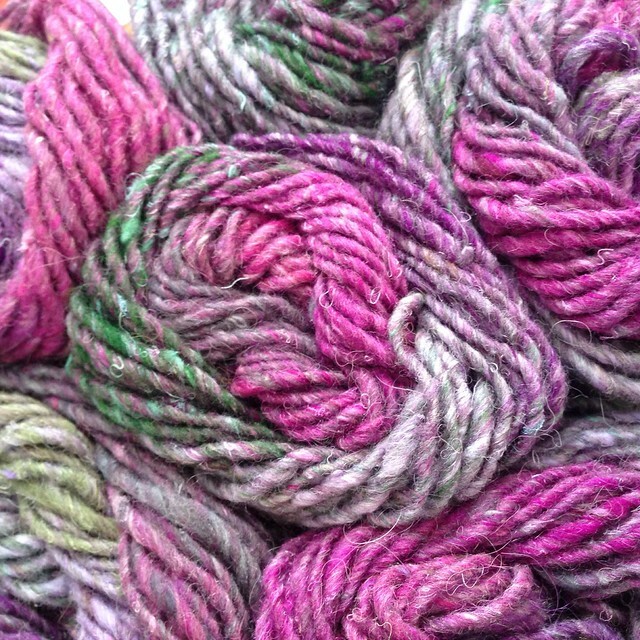 My prize was six balls of Noro Kama which I'm planning to use for one of my next design projects - it's so pretty, I can't wait to start working with it as I've been fancying it for some time. If you have a favourite blogger you'd like to nominate, you can find the details here. I have another interview being published later today on another blog, so I'll come back and add that link when I have it - EDIT: here's my interview with the Woman's Weekly blog - and there's also a new pattern I've been working on in partnership with another of my favourite online yarn stores being published this week. I'll be sure to add details of that to Friday's post when I'll also show you some of my recent FOs.... There seems to be so much to catch up on! Don't forget the semi-finals of the Great British Sewing Bee are on tonight. I know a lot of international readers have been frustrated not to be able to watch, and thought I'd mention an article with a link to a casting call for potential contestants for a US version - you can find details here. Congratulations on your award, what a lovely accolade and fantastic prize. That is incredibly pretty. Busy, busy bee! Congrats on all the fun stuff going on. Me too (sorry to do it on here but I found you) I was so looking forward to a final needle match between your Mum and Chinello! Its dreadful that she went. Wrong. Wrong Wrong. I don't mind if you delete my comment but please just tell your mum how much she is respected and loved.